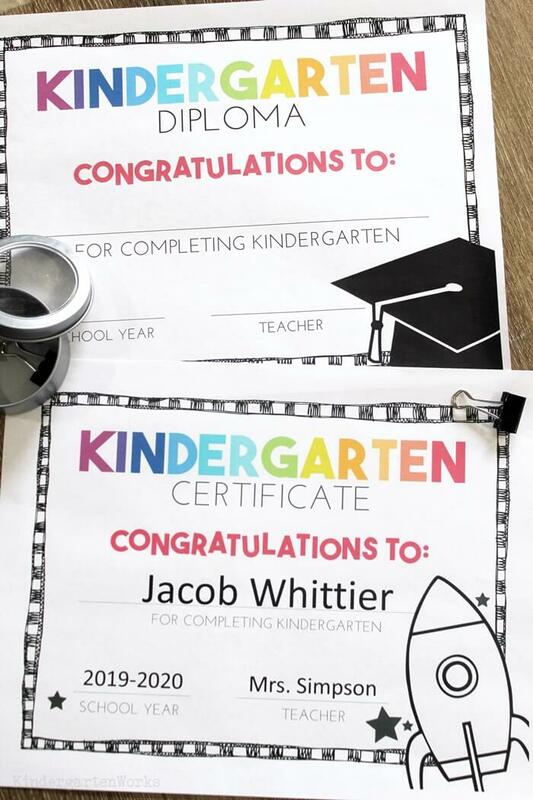 It’s the end of the school year and it’s time to celebrate the end of kindergarten. 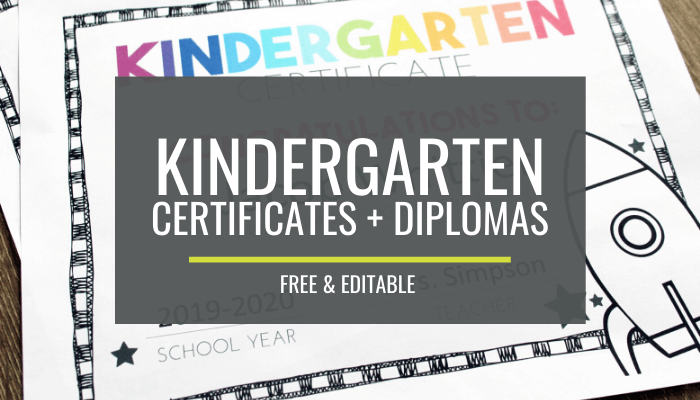 Here are free kindergarten diplomas and kindergarten completion certificates that you can download instantly and print. 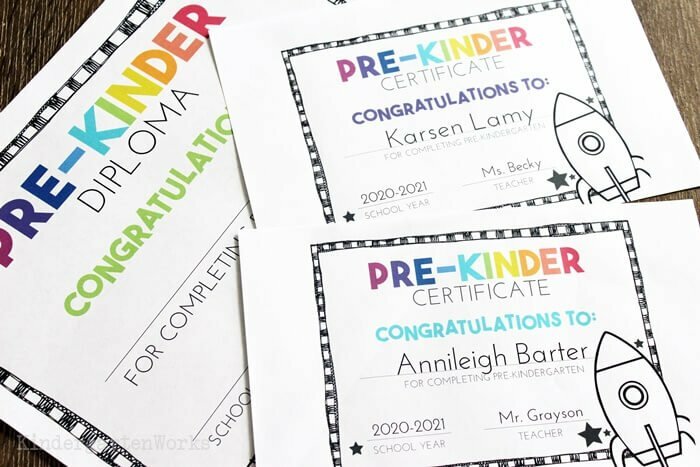 My kindergarten students never actually had a graduation ceremony (with all of the fanfare you might be planning for your own celebration) – but we did fun end of the year celebration alternatives instead. For our end of the year fun – we liked to do an end of the year countdown using the letters of the alphabet. We also took lots of end of the year class photos and hosted a little red carpet event in our classroom. 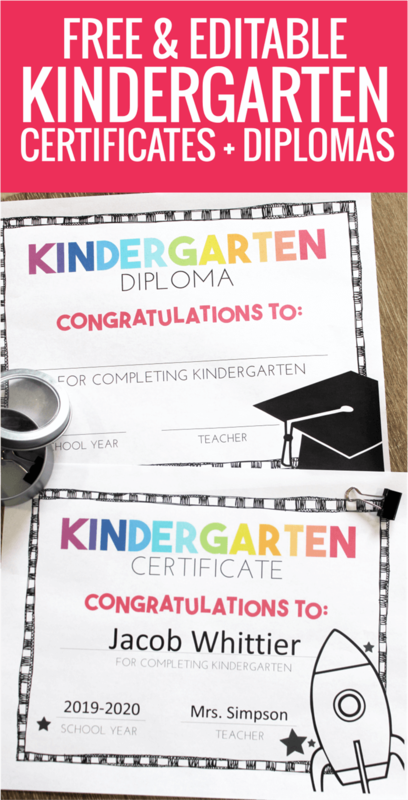 These end of the year printable certificates would be perfect for either graduation or a low-key end of the year event. I want to support you to organize, think and teach the way you want to. You can download them for free and print them at home or at school. They look terrific printed in color and don’t use up too much color ink to do a class set. But, they also look fantastic printed on bright color paper too. You can write in your student names or do it on the computer before you print! 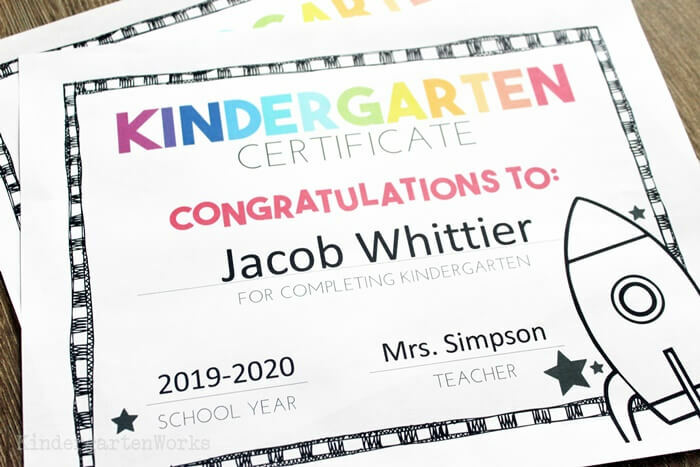 They’re editable – so you can type in your name and school year as well as your students’ names. But you’ll need either Microsoft Powerpoint or Google Slides (which is free) to edit them. I’ve also included one grayscale version that looks great printed on black and white laser printers or school copy machines. Download and save your free Powerpoint file below. Open the editable file in Google Slides or Microsoft Powerpoint. Change your fonts, text size and wording for Student Name, School Year and Teacher. Duplicate the completed page to make one for each of your students. Note: I recommend matching font Josefin Sans. 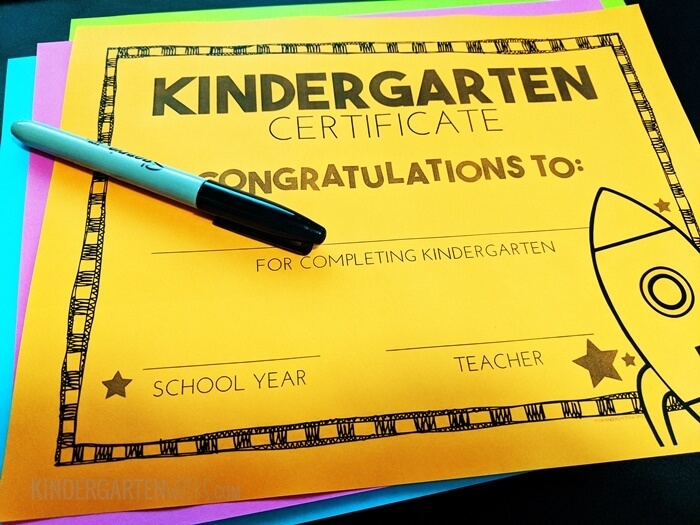 You can also print them half-page size to make mini certificates. They are super-cute too. Then click File > Save as > Save as type: PDF > Save. Open the PDF file you just made and click Print. Change the Page Sizing & Handling setting to Multiple. Change Pages per sheet to 2. 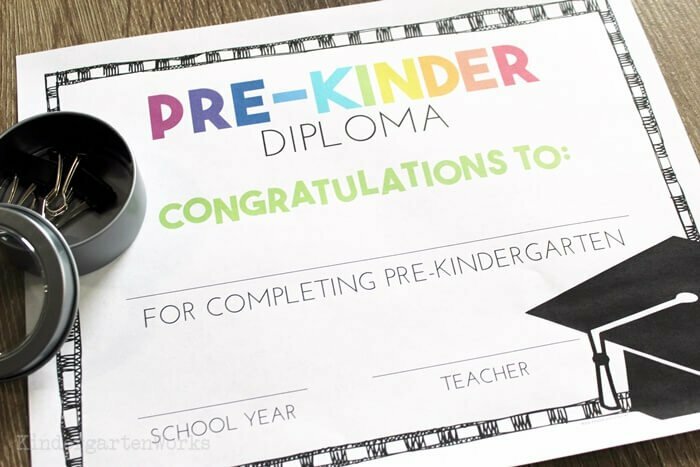 But because I know I have a few pre-k teacher peeps who visit here too – I didn’t forget about you! 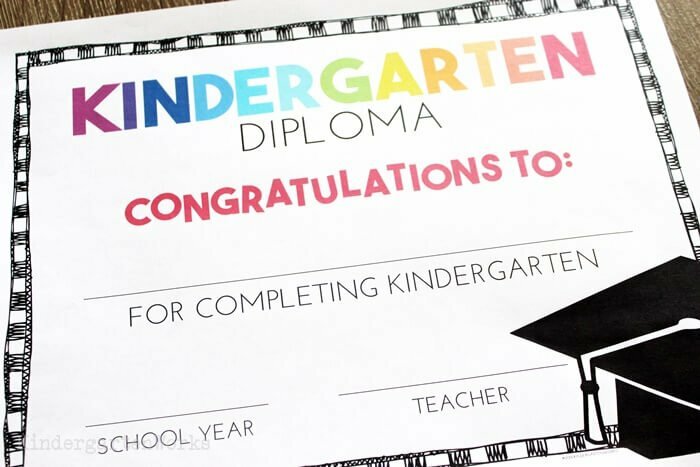 I hope these come in handy for your kindergarten graduation ceremony or your pre-k graduation.